[SPOILER] Which former IOI member performed on 'Mask King' this week? A former member of IOI made an appearance on 'Mask King' this week! 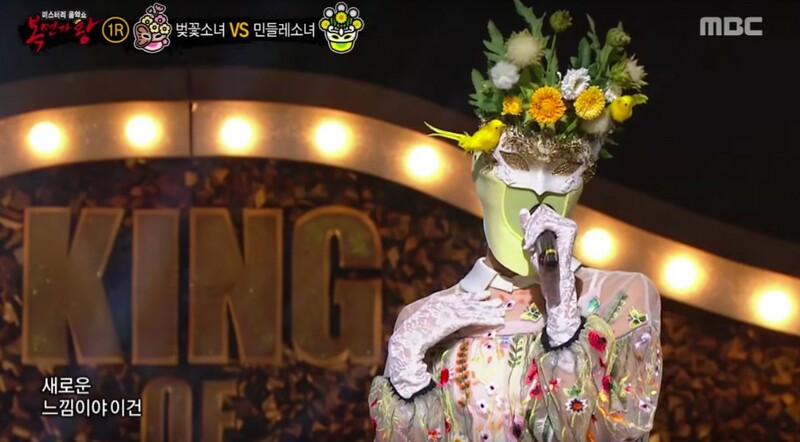 In the first round of the April 15th broadcast of 'Mask King', two contestants who appeared as 'Cherry Blossom Girl' and 'Dandelion Girl' faced off against each other. Two singers worked together to cover Akdong Musician's "200%", an upbeat, cheerful track. Despite the vocal tone contrasts between the two singers, they worked very well together. However, 'Dandelion Girl' was not able to get past the first round and was required to reveal her true identity. Many were surprised and happy to see PRISTIN's leader Lim Na Young standing on the stage singing Epik High's "Umbrella". Based on the reactions, it appears TWICE members were the only ones to correctly guess the identity ahead of the reveal. Lim Na Young covered both the singing and the rapping portions of the track. Were you surprised to see Lim Na Young on 'Mask King'?